This section has my articles and blog posts on Latin American policy, particularly on the situation in Venezuela. Cindy is Venezuelan and lives in Vietnam. Her husband’s career as a pilot took them to Ho Chi Minh, two and a half hours away from the nearest Venezuelan embassy. For Cindy and her husband, distance is not a restriction to vote in Sunday’s election. Their problem is their official status overseas: with only a tourist visa, they lack legal status abroad—signaling their fate according to Venezuelan law. Article originally published by Americas Quarterly online on October 5, 2012. EXCLUSIVE INTERVIEW: SERGIO FAJARDO VALDERRAMA, GOVERNOR OF ANTIOQUIA. Sergio Fajardo, the governor of Antioquia (2012-2015) and former mayor of Medellín (2004-2008) spoke with AQ Online about the role of public-private partnerships in his administration, his views on the peace process in Colombia and his opinion on the role of the middle class in Colombia and Latin America. Interview for Americas Quarterly online published on October 10, 2012. Article co-authored with Jason Marczak, former Senior Editor of Americas Quarterly and Director of Policy at Americas Society/Council of the Americas for El Diario and published on October 9, 2012. 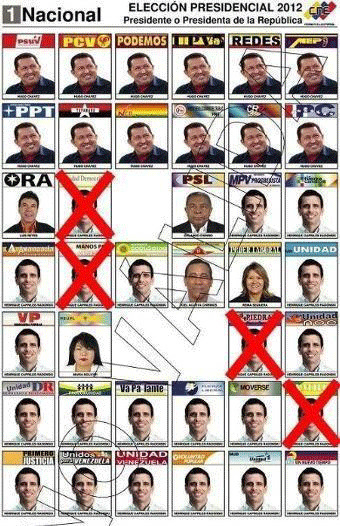 Con el 55.0% de los votos, este domingo Hugo Chávez ganó su cuarta reelección, extendiendo su plazo presidencial hasta el 2019 si su salud lo permite. El candidato de la Mesa de la Unidad Democrática, Henrique Capriles, recibió el 44.4% del apoyo popular. Pero esta vez la reelección del mandatario no significa una derrota total para la oposición. Chávez ganó con una ventaja de 20% o más en elecciones anteriores. Esta vez la oposición estuvo tan solo a casi 10% de alcanzar la victoria, una diferencia de aproximadamente un millón y medio de votos. The recent world economic crisis led to a new socio-economic landscape—particularly in Latin America, where intra-regional migration flows increased significantly as a result of fewer employment opportunities and tighter immigration policies in Europe and the United States. Countries like Argentina, Brazil, Chile, and Uruguay became popular destinations for international migrants. All countries in the region are greatly benefiting from an increased commercial and demographic interconnectedness, except for one: Venezuela. Blog post for Americas Quarterly published on October 4, 2013. Read more here.